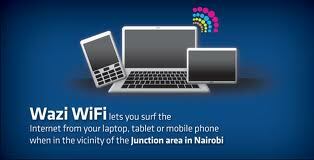 Wazi WiFi currently has over 500 access points deployed in Nairobi’s malls, restaurants and coffeeshops. Apart from profiting from this project, Wananchi Group is providing internet connectivity to a large population which frequents these areas. This allows shoppers and restaurant patrons to enjoy interact over social media, watch videos and access inforamtion over the web through Wananchi’s internet connection. The company has now partnered with Nairobi County Government and KENET to bring free WiFi to the city’s schools. WazED targets 245 schools in its pilot phase and Wananchi estimates a cost of KES 120 million /= for this phase. KENET will however be receiving the internet services at no charge and schools. Both public and private institutions will benefit from this project. Students will be able to supplement their curriculum with material accessed over the free WiFi and teachers now have a means. Wananchi’s non-executive director, Richard Bell says the cost of the entire project is estimated at KES 1.2 billion /= and upon completion 2,500 schools in Nairobi county will have access to free WiFi. KENET’s (Kenya Education Network) membership includes 56 – mostly research and tertiary – institutions. It was formed as a trust back in 1999 and is now the national provider of internet services to education institions. Being a partner in the project, KENET will now integrate primary and secondary schools as part of its membership. As a member of the UbuntuNet Alliance, KENET connects Kenyan institutions to other education and research networks, opening up access to research and educational resources that span over 33 countries in the region.